The Aurora Smarter Kit retails for $199.99 and is available at Best Buy and the MoMA Design Store. Because the panels weigh so little, there's no need to drill any holes in your walls, making the Aurora ideal for renters as well. Because the Aurora is tunable white, it can also be used to mimic daylight, meaning it can double as a mood-enhancing light for those who suffer from seasonal affective disorder (SAD), or for anyone who could use a bit more natural light in their lives. Composed of nine lightweight, triangular LED lights that can be fit together in different configurations, the Nanoleaf Aurora can light up your wall (or any other flat surface in your home) using a palette of over 16 million colors. It can go from a soothing white light in the morning to a blaze of energizing purples, blues and greens during the day to a relaxing warm light in the evening--or pretty much any other type mood lighting you can imagine. The Nanoleaf Aurora Smarter lighting kit was made for DIY installation and includes 9 RGBW Smart LED Panels, 9 Panel Connectors, 9 Mounting Stencils, 28 Mounting Strips, 1 Power Supply Unit, and 1 Controller Unit. Nanoleaf says they also plan on releasing a ‘sunrise’ function soon that will allow the Aurora to gradually get brighter each morning as gentle way to help people wake up. 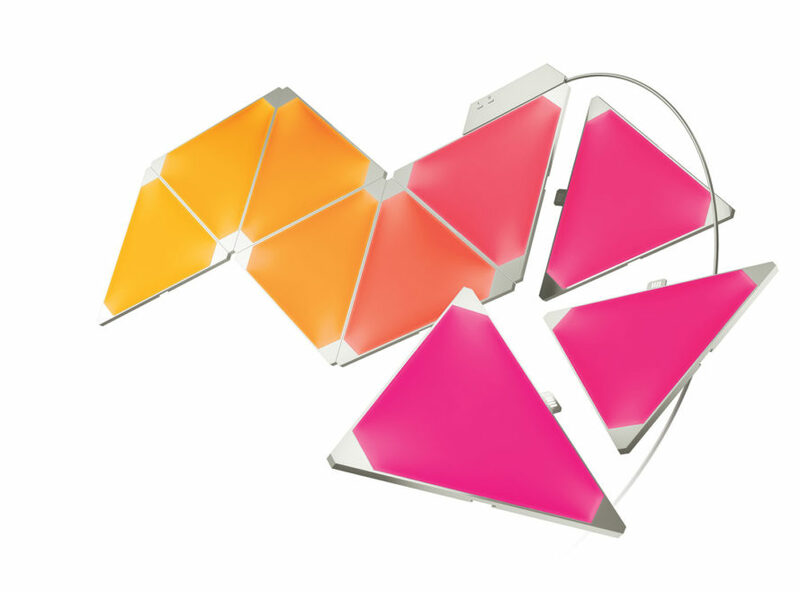 Composed of nine lightweight, triangular LED lights that can be fit together in different configurations, the Nanoleaf Aurora can light up your wall (or any other flat surface in your home) using a palette of over 16 million colors. 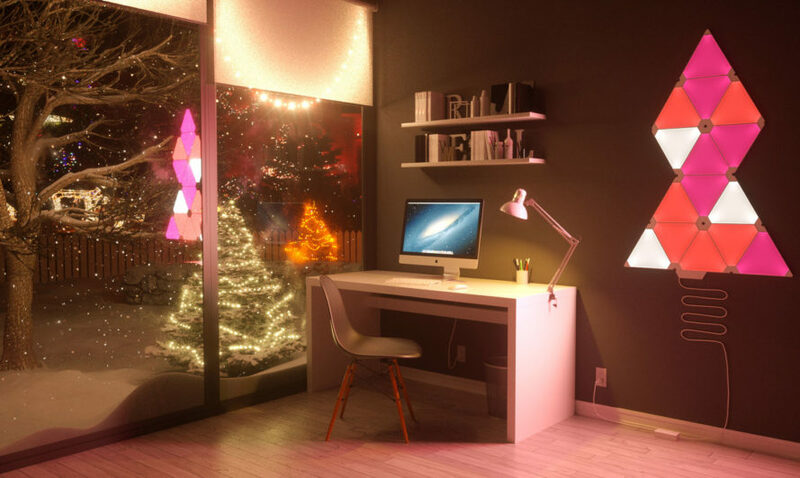 It can go from a soothing white light in the morning to a blaze of energizing purples, blues and greens during the day to a relaxing warm light in the evening--or pretty much any other type mood lighting you can imagine.